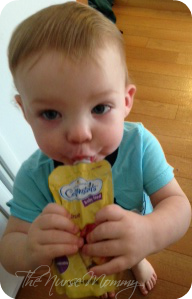 Top Notch Material: Perrigo Nutritionals: Store Brand Baby Foods/Formula Giveaway! Perrigo Nutritionals: Store Brand Baby Foods/Formula Giveaway! Many mommies like myself struggle with a budget and making ends meet. We are the working class, and sometimes we feel like there is never enough money in a week. This is especially true when you have infants who drink formula, eat baby food and enjoy baby snacks. If you buy brand names in these items you are easily looking at $75 a week or more. That's $300 a month or $3600 a year, conservatively! That is true for our family anyway, because my boys are very big eaters! I only bought brand names with baby number one, because, well...we all want baby to have best, and brand names mean they are the best, right? NOT! When baby number two came along and I had to stretch the dollar a little more, I started researching store brand vs brand names. What I found was startling! The ingredients are almost exactly the same and I was paying almost double!! I quickly switched formula, baby foods and started saving money. My little man never noticed a difference! 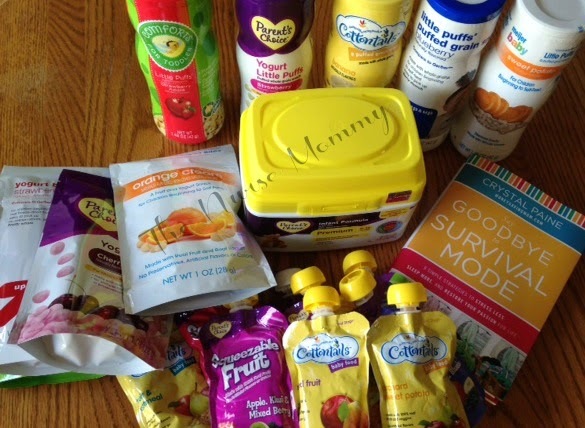 I recently received a gift package from Perrigo Nutritionals which included formula, baby food pouches and snacks. Many of the items my little man has tried before, but some were new to us. He loved them all! If you are looking for more ways to save, you can see the post tips from Crystal Paine provided by Storebrandformula.com. Win It: One lucky winner will receive the same package I received, please see picture for details. This includes the very handy book "Say Goodbye to Survival Mode." The Perrigo Nutritionals product, information and two gift packs have been provided by Perrigo Nutritionals. The Nurse Mommy is not responsible for prize fulfillment; sponsor will be responsible for prize fulfillment. The above item was received in order to facilitate review. I have not been compensated for this post. The Nurse Mommy blog will always provide honest opinions, beliefs or experiences on products reviewed. This event is in no way associated with, sponsored, administered, or endorsed by Facebook, Twitter, Google, Pinterest or any other social media network. If you have any questions, please contact me at nursemommypaige at yahoo dot com. The disclosure is done in accordance with the Federal Trade Commission 10 CFR, Part 255 Guides Concerning the use of Endorsements and Testimonials in Advertising. From their site, I learned: Retailers are offering their customer their own store brand formulas. I learned that store brand formulas are actually the same as big brand name ones, it's pretty amazing when you consider the price difference. I could maybe understand that advertising dollars explain some of that difference, but not all of it! 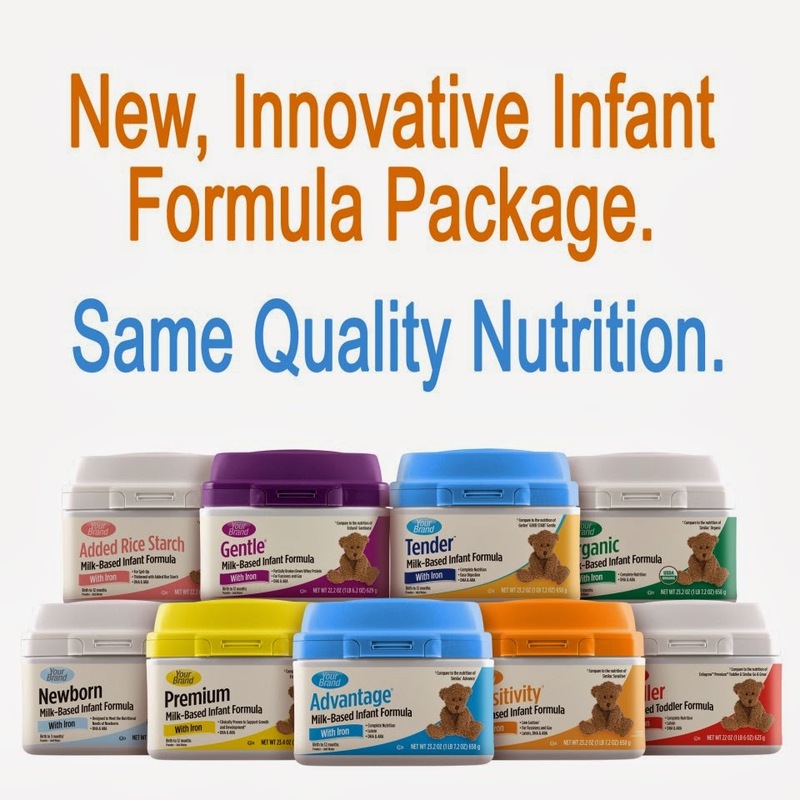 Store Brand Formula is nutrionally comparable to name brand infant formula. I learned that 68 retailers use them as "their store brand "
Soy Formula is a nutritionally complete alternative for infants when soy protein is preferred I gave this to my kids too. "Store Brand Infant Formulas meet FDA standards like all baby formula brands."